I heard the audiologist say the words “the ABR confirmed that your son has bilateral moderate to severe hearing loss”, but after that sentence, the words coming out of her mouth sounded like the adult cartoon characters on a Charlie Brown episode. I didn’t hear a word she was saying. I silently thought to myself, PLEASE let the hearing loss be the reason why Kai isn’t babbling and talking. My son was 2.5 years old and was completely non-verbal. Since coming home from China at 14 months, Kai had been diagnosed with epilepsy, apnea, ataxia along with severe hypotonia. At 2.5 years old Kai was locked inside his body. My optimistic side wanted to believe that we would “slap some hearing aids” on him and he would begin communicating with us within weeks. However, my realistic side knew that nothing with Kai was easy. He had made great strides with his physical development, but it was a slow progression. It wasn’t for lack of hard work or effort on his part. He was an amazing child with the determination of a lion. It was apparent within months of receiving his hearing aids that Kai was not meeting any of his speech goals. Kai would be diagnosed a year later with a condition called Apraxia. Apraxia is where the brain has difficulty coordinating the muscle movements necessary for speech, therefore speech is very difficult. My mission in life was to find a way for Kai to communicate with others. I spent my nights watching Signing Time videos and completing the www.lifeprint.com lessons. I also took as many ASL classes that I could find in the community. Even though I had doubts about Kai’s ability to sign because of his physical limitations, I forged ahead and began signing with him. Surprisingly, he not only picked up on it, but he signed well enough for us to truly begin communicating with one another. As Kai’s 5th birthday approached this past February, I was beginning to resign myself to the fact that my son was probably not ever going to talk. 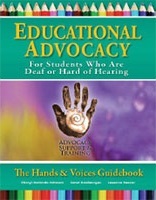 We as a family were preparing to immerse ourselves full fledge into the Deaf community. We were already meeting weekly with a Deaf Mentor. However, by March, we started to hear words that we never heard before pop out of his mouth. 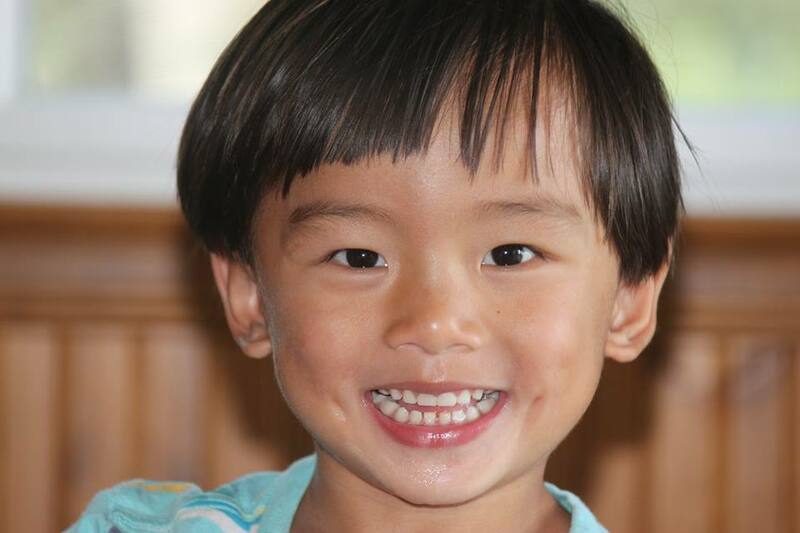 Hard words, like…”opposite”, “Aunt Nanette”, and phrases like “I don’t know” and “I love mom.” At the beginning of June, Kai had 15 different spontaneous words per day and by the end of the month he had 30 different spontaneous words a day! So what was the switch that turned on his voice? I believe it is a combination of factors. In February of this year, he had 5 root canals done. The lack of prenatal care and the neglectful conditions of the orphanage that Kai lived in, took its toll on his teeth. He also was in a dual placement of an Auditory/Oral and the local Deaf school. I believe that the signing provides a bridge and opens up neurological pathways for him. He also receives a copious amount of therapy and his body has becoming stronger and healthier each day. It could also just be an answer to many prayers. We have a long journey ahead of us with Kai’s speech and language. We are excited for him that he potentially will have access to different ways to communicate with others, either through sign or orally. His future knows no bounds! He has overcome more obstacles in his short life than most people ever do in a life time. If a child can be a hero, he is mine, because he inspires me daily. I am incredibly proud and honored to be his mom.